To reinforce the brand identity, JEANRICHARD also redesigned its timepieces from scratch. The aim was to create an iconic, emblematic model that would be instantly recognizable. This gave rise to the their new cushion-shaped case with a round bezel. Not only is the look original, but its sophisticated construction allows for use of different materials and finishings. In addition, the JEANRICHARD portfolio has been organized into four collections equipped with automatic movements and in a more accessible price category. The first two collections, launched in early 2013, were the Terrascope and the 1681 – a contemporary reinterpretation of a traditional timepiece running with the manufacture caliber JR1000. At Baselworld, JEANRICHARD unveiled two of its latest collections:the Aquascope, conceived for those moments of fulfillment on and in the water, and the Aeroscope, a tribute to the conquering of the skies. 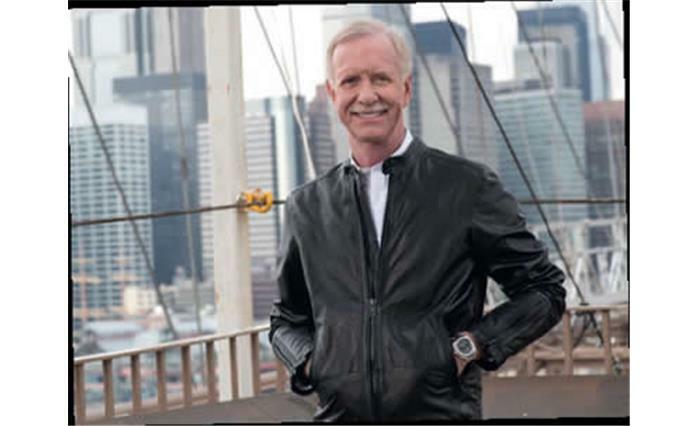 For its own first flight, as it were, the Aeroscope found a special godfather, Captain Chesley “Sully” Sullenberger. An experienced pilot, he made history on January 15, 2009, when he ditched the failing Airbus A320 he was piloting into the Hudson River in New York City, saving the lives of 155 people on board. This heroic feat,which is infused with his level-headedness and composure, illustrates the philosophy and values that have always guided him and serve as inspiration for JEANRICHARD. At the JEANRICHARD Baselworld press conference, Captain Chelsey “Sully” Sullenberger stressed how precious time really is. He embodies the fact that each individual, given willpower, audacity, or courage, is able to accomplish the greatest exploits.